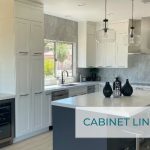 Cabinets of the Desert will work with our Clients and their interior designers and contractors on all aspects of a proposed bathroom remodel, from the practical to the aesthetic. Cabinetry is a central element and touches upon almost every aspect of a bathroom design. This is where you discover what is possible and what is affordable. Unlike a kitchen, there are no established dimensional rules for laying out a bathroom. However, there are standards. State and local codes provide minimum requirements. Other bodies have their own recommendations. For example, the International Residential Code (IRC) states that the centerline of a toilet be at least 15 inches from any other bath fixture, wall or other obstacle, while the National Kitchen and Bath Association (NKBA) says it should be 18 inches for better comfort. When it comes to clear floor space, the IRC asks for at least 21 inches in front of a lavatory, toilet, bidet and tub, and at least 24 inches of clear floor space in front of a shower, while NKBA guidelines call for at least 30 inches from the front edge of all fixtures to any opposite bath fixture, wall or obstacle. However, the reality of a bathroom remodel may make these standards academic. The desire for a new and improved bathroom layout runs up against the constraints of what is already there with respect to the structure and the plumbing and electrical systems that are hidden in the walls and floor. These constraints may make changing the bathroom layout either very difficult or very expensive. The existing plumbing system includes various pipes to bring fresh water into the room and routed to sink, tub and toilet fixtures; pipes to bring hot water from your hot-water heater to tub, sink and shower fixtures; pipes to carry away wastewater; pipes to carry away waste; and vent stacks and P traps to equalize pressure and to keep sewer gasses out of the living space. The existing electrical wiring system brings power to lights, outlets, and exhaust fans. While rerouting electrical wiring is normally less expensive than making changes to plumbing, it is nonetheless a consideration. The structure itself may or may not be conducive to change to accommodate a new bathroom layout. For example, it may be possible to annex space from a closet or another room to provide more area. Or it may be possible to increase or decrease the ceiling height. But these too come with a cost. So the first bathroom remodel considerations are practicality and cost. One-wall layout: where the toilet, sink, and combination shower/tub are aligned along one wall. This makes for a relatively long, narrow bathroom. Three-wall layout: where the toilet is on one wall, the sink on the second, and the shower and tub on the third. This is a space saving layout typical of a master bathroom and may accommodate additional fixtures such as a bidet and a second sink, and a separate tub and shower. A bathroom with 3 plumbing walls lends itself best to a remodeling exercise. Bathroom remodel planning starts out with establishing its desired function by asking who will be using the bathroom and how. One of the key questions in our market, where “Aging-in-Place” is a consideration, is whether we should introduce elements of Universal Design which emphasizes roomier floor plans with wider doorways, taller toilets and curbless showers. Cabinets of the Desert can provide cabinetry that will work with Universal Design principles. Once the function of the bathroom is settled, its elements will be formed in accordance with established design principles. Please see the links at the bottom of this page. If the bathroom is small, select smaller fixtures, so as not to overwhelm the space. Most bathroom surfaces should be smooth and polished for durability and easy cleaning. However, one should consider non-skid flooring, especially in showers, for safety. Bathrooms tend to be small spaces. Light colors will prevent a closed-in feeling. Do not position a basin underneath window. People expect to see a mirror. Do not position a toilet opposite the doorway. Do not place the shower at the entrance. This hampers access and restricts vision as you enter. Do not build partition walls, as it makes the room seem smaller. Use clear glass panels for showers, as they are see-through and make the room appear bigger. Do not build uncomfortable and impractical steps in front of a tub. Do not sink the tub into the floor because it will be difficult to clean. The human eye views things in perspective and dimension. So put short things in the front, tall things in the rear, broad things on the floor and nothing bulky on the walls. This creates the illusion of space. Squares and rectangles create sharp corners, which people bump into, and dead ends that restrict access. Making use of rounds and curves helps accessibility and flow in the bathroom. The entry door should open against a wall and not visually cut the bathroom in half. The first visual point upon entering into the doorway should be the vanity basin. The tallest item, the shower, should be in the furthest back corner. The toilet should be placed as best out of sight as possible. The bath is always a focal point and should generally be close to the vanity basin. Lighting brightens up the room and the brighter the room the bigger it appears to be. The lighting plan should layer and blend four different types of light, task, ambient, accent and decorative. Making use of mirrors creates the illusion of space. Making use of large tiles reduces the amount of grout. This gives a smoother and a softer effect. Over time grout discolors and this can shrink the room. Lighter colored tiles also make the room look larger. There are many other things to think about when planning a bathroom remodel and we at Cabinets of the Desert refer our Clients to our Bathroom Checklist. This is intended to help in their discussions with their interior designer and general contractor.